The Future of Competency Models, Part 2. In our last blog post, we came down a little harsh on competency models. We aren’t going to apologize though; it was pretty well-deserved. But we’ve said it before and we’ll say it again — competency models are on the cusp of reaching their prime. Why? Well, not only is there a collective shift from skills- and knowledge-based competency models to talent-based ones, but the ubiquity of AI is helping to automate the creation and adoption of these competency models. But before we dig into all that, you may be asking, what are talents? “Talents,” however, are recurring patterns of thought, feeling, and behavior. Talents include innovation, persuasion, teamwork, adaptation, communication, and so on. Whereas you’d find skills and knowledge on a resume, talents are a bit tougher to decipher at first glance. But they’re definitely worth deciphering; after all, talents are 4X more predictive of how successful someone will be in a role than skills and knowledge! That’s why we argue a competency model that prioritizes talents (rather than, say, what someone went to school for or number of years experience in a particular job) is the key to predicting which talent will thrive where. A competency model that prioritizes talents (rather than what someone went to school for or number of years experience in a particular job) is the key to predicting which talent will thrive where. A completely subjective approach to competency modelling (in other words, getting stakeholders in a room and asking “what do you think should make up this competency model?”) may result in competency models with an emphasis on skills and knowledge; however, consultants who bring I/O Psychology expertise into the competency model development process already prioritize a talent-based approach to competency modelling. That’s because an individual’s talents can be quantified by methods established by I/O Psychologists in the field, such as assessments that measure personality and cognitive ability. However, as we mentioned in our last blog post, the big barrier organizations face when bringing in consultants to develop competency models is their drain on company time and resources. Therefore, talent-based competency modelling is often reserved for directors and above in Fortune 500 companies. AI and automation disrupt this cycle. But first, we need to clarify that AI is not magic; it cannot simply create a perfect competency model for you at the click of a button. AI needs to be fed data points (lots of them) in order to make decisions. If the data you feed AI is flawed, then the output will be flawed, too. Amazon learned this the hard way by training an algorithm on 10 years of its own hiring data. Reportedly, the algorithm became biased against female applicants; simply having the word “women” (such as “women’s soccer league”) in a resume could cause applicants to rank lower. By training AI with data inputs leveraged from I/O Psychology, rather than biased human decision-making (such as the Amazon example), suddenly the expertise of I/O Psychology can be made scalable and affordable. But what does a talent-based competency model scaled by AI actually look like? At Plum, for instance, competency models are created for jobs through a 6-8 minute survey completed by all job experts (hiring managers, HR professionals, top performers, etc.) outlining the behavioral needs of the role. Plum’s AI engine, called Ultraviolet, is then able to aggregate and average the results of the multiple surveys to develop a competency model. Ultraviolet can then automatically match applicants’ and employees’ talent profiles (aggregated in a separate personality and cognitive ability assessment) to the competency model to determine fit. So why do we keep saying that competency models are soon to reach their heyday? You’ve probably heard all of the talk on “the future of work” or “fourth industrial revolution” — aka an impending disruption in the workforce. Millions of jobs will soon be obsolete, just as net new roles that we’ve never seen before will be springing up at an unprecedented rate. Needless to say, organizations in every industry will soon be preparing to face workforce planning and talent management challenges the likes of which have never been seen. Although a lot of media focus seems to predicate on the jobs that will be displaced by automation, not enough focus is on the 85% of jobs that will exist in 2030 that have yet to be invented. 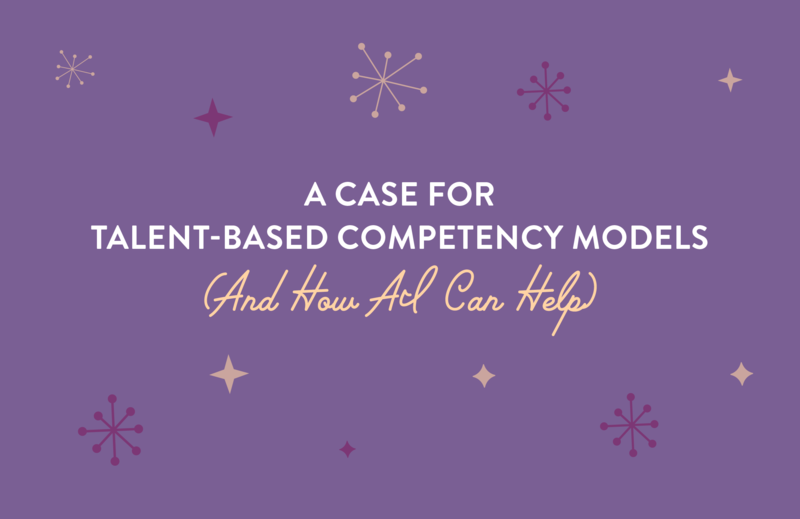 How can you create competency models for jobs that don’t even exist yet? 85% of jobs that will exist in 2030 have not been invented yet. How can you create competency models for jobs that don't even exist? 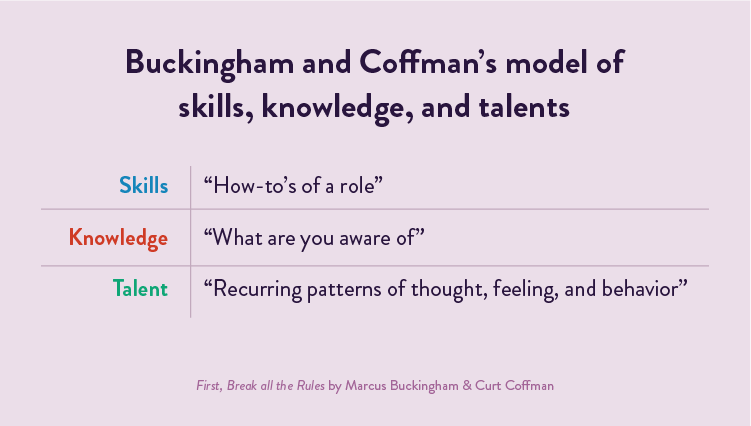 Skills- and knowledge-based competency models simply won’t cut it. After all, with emerging job titles including Augmented Reality Journey Builder, AI-Assisted Healthcare Technician, and Chief Trust Officer, how do you even begin to understand what kinds of education and work experience will lead to success in these net new roles? In our last blog post, we talked about the shortcomings of gamified assessments to create role-specific competency models. These assessments require 50-100 current employees operating in one specific role in order to create a valid benchmark. But the roles that will emerge in the fourth industrial revolution have never existed before, let alone belong to 50+ employees within your organization. Game-based competency models just won’t cut it either. All roads point to a talent-based competency modelling approach. But you must be intentional in preventing this approach from falling into the “I think” trap — in other words, getting stakeholders in a room and going around the table, suggesting, “I think communication should be ranked above decision-making.” A talent-based competency model is only as valid as the tools that quantify it. A talent-based competency model is only as valid as the tools that quantify it. Psychometric assessments automated by AI measure role-specific and organization-wide competency models in a highly valid, efficient, and scalable way. When a brand new role springs up in your organization, you don’t need to wait weeks or months for a consultant to create a competency model, and you don’t need to spend a fortune to create competency models for the 85% of new jobs that will be erupting in your organization. You don’t have to leave hiring and talent mobility up to chance either — with a data-driven competency model approach, you can generate competency models with confidence, knowing that individuals will thrive in their roles and in your organization.